HIT PICK TO CLICK: BATMAN: THE RETURN OF BRUCE WAYNE #1: Time machines are for wimps, just ask Bruce Wayne. Been a real man, he's crawling his way back to the present, era by era. Square one; Bruce as the Bat-Caveman, complete with a giant skinned bat war mask. 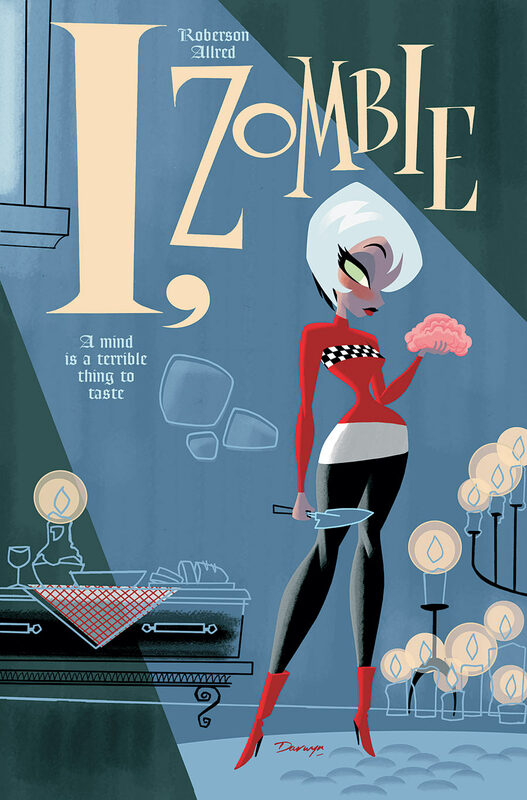 Yip - I freakin' love the craziness of comics. SECRET AVENGERS #1 (DC): How can you be the 'Secret' Avengers when your line-up includes a shiny war machine, a human rocket and a big blue bouncing beast? Stuff like that's hard to keep hidden. Luckily Black Widow, Antman, Steve Rogers and Moon Knight know about espionage, not picking up blue fur though, but hey no one's perfect. LEGION OF SUPER-HEROES #1 (DC): Legendary LOSH writer Paul Levitz returns to the 31st century, with rising star artist Yildiray Cinar in tow. Make it an oversized issue, with a Jim Lee variant and forget it - DC's biggest sci-fi franchise has never been in better hands! 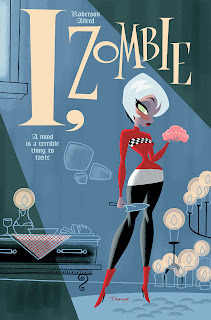 I, ZOMBIE #1 (Vertigo): While eating human brains would send us running from the table, for Gwen Dylan, it sets her zombie-self on a danger filled trek, to fulfil the last requests of her latest meal. Now that's indigestion. Plus it's a first issue for only a buck! Mmm tasty! The "caveman" batman costume is a bit weird. I am a fan of the dark knight but, having a dead bat as your necklace is not just weird, it is gross also. Thanks for the comment Vic! I read the other day Grant Morrison was originally thinking about Gladiator Batman as well but wanted to stick with North American legacies... still makes you wonder what those other ones would've looked like! Hi Dan, I think that would be interesting (Spartacus Batman), well makes me wonder how Bruce Wayne was able to hop from one era to another without aging? I remember they already did a swashbuckling Batman and a Victorian-era Batman. I believe those were not part of this continuity.